Three years ago I was in Dublin Airport to meet a family member who was arriving in from New York after a short holiday. Whilst I was there I bumped into Northern Ireland manager Michael O’Neill who himself had just arrived back in the country from The Netherlands where his Northern Ireland team had been absolutely thrashed six nil by their hosts. He seemed to have an awful lot on his mind and I can only imagine he was thinking to himself, what have I let myself in for by taking this job as the North’s boss. The Netherlands game was his second in charge and in his first, his side lost three nil to Norway. As we both parted he rolled up his coat collar and headed off to plan the future for his international career, after all this man was a winner having won two League of Ireland titles with Shamrock Rovers in his previous job. In the years that have passed since that day in Dublin Airport how life has changed for Michael. He has worked so hard with his Northern Ireland squad and they have against all the odds, qualified for the 2016 European Championships in France. In a group containing Romania, Hungary, Finland, Faroe Islands, Greece and Northern Ireland nobody really gave his side a chance. At best, a play off place is what was really on offer in everyones minds before a ball had been kicked. What was to unfold over the campaign was remarkable. The North only lost one game which was away to Romania in a very hostile atmosphere. Victories in Greece and Hungary really set it up for his team to qualify as the other results went as would be expected. When all the games had finished, not only had Northern Ireland qualified but they had topped the group. A remarkable success from a team made up of not many household names. What Michael has done is instilled self belief in a squad that had been going nowhere. 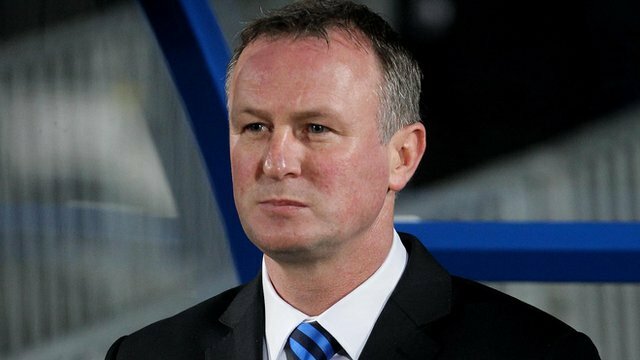 It will be a tough tournament next summer for Northern Ireland whoever they get but believe you me, Michael O’Neill will have his men buzzing and ready for the games. What has to be taken into consideration on the enormity of their qualification is the last time Northern Ireland qualified for anything was 1986, That squad was sprinkled with names that roll off the tongue Jennings, Whiteside, Armstrong, McCreery and of course Sammy Mcilroy. Northern Ireland football has been on its knees for years and the fans deserve to have good times ahead. There is no doubt they will travel in their thousands to France and many a funny story will be told on their return. A lot of money will be generated next summer in Ireland for the finals and you could not begrudge the fans there fun, as we all know Northern Ireland has had its fair share of troubles over the years.